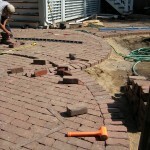 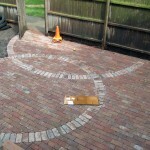 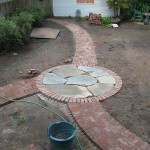 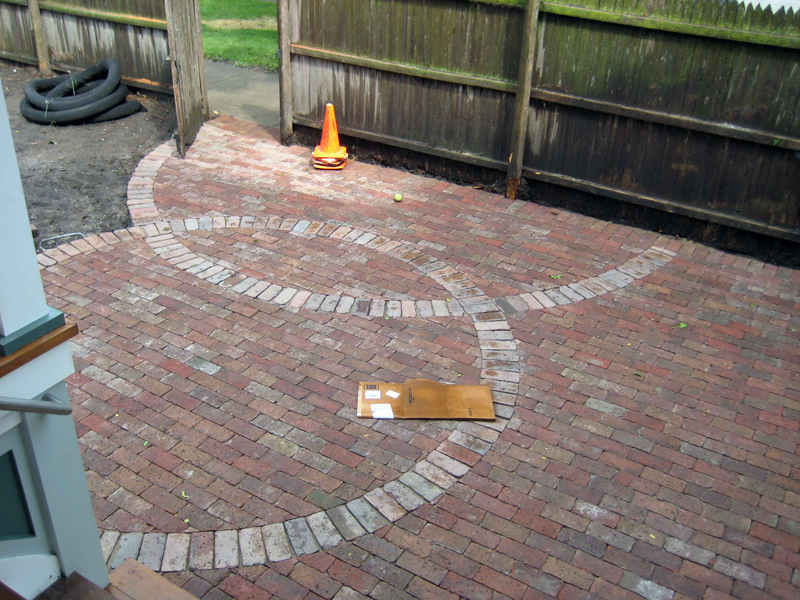 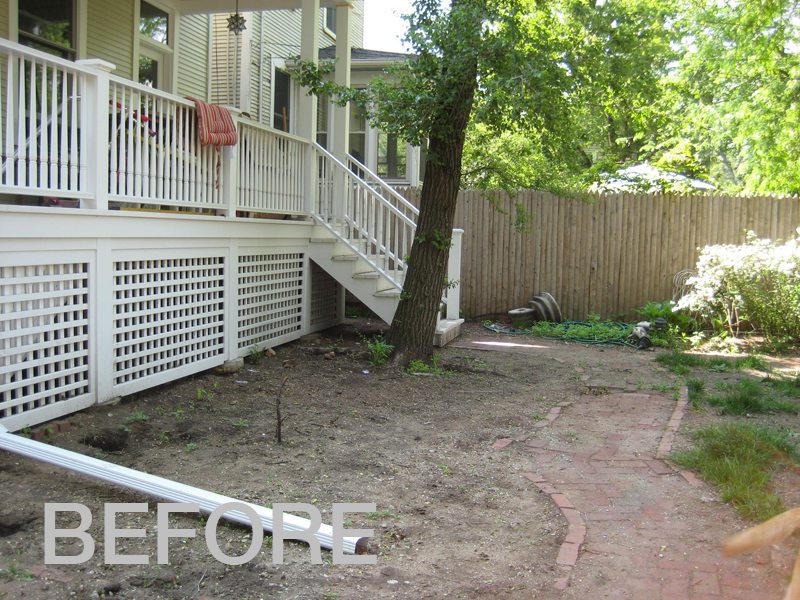 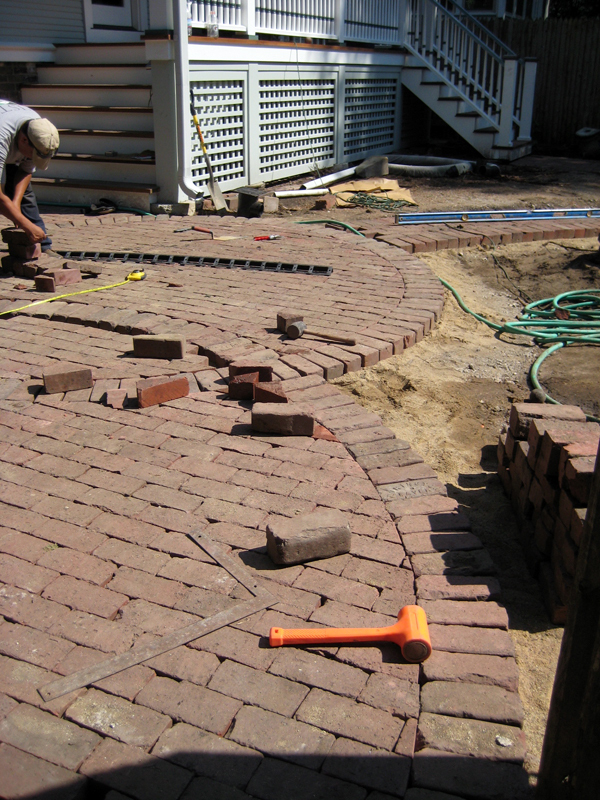 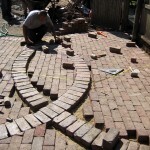 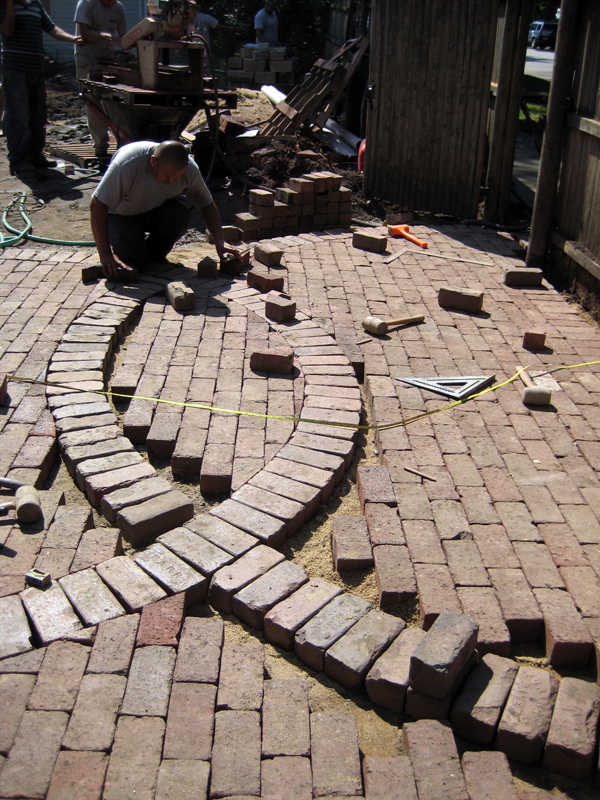 Paver Rehab - Pat Bernard Design Inc. 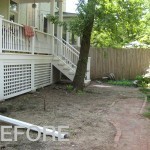 This property had beautiful Barr and old clay pavers but you couldn’t see them. 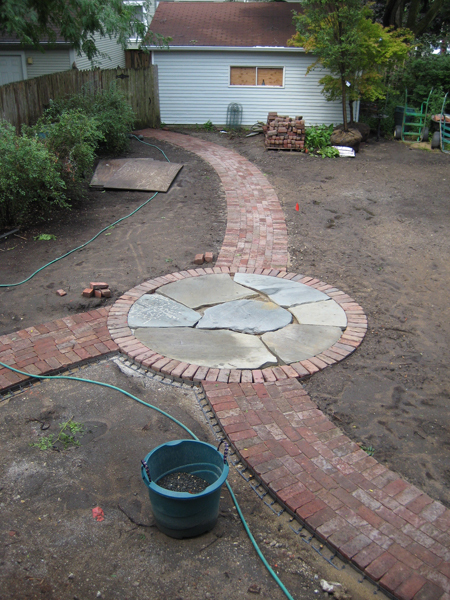 So we pulled them up, re-designed the backyard, added a dog duty area, and re-installed the pavers in a way that could be better appreciated. 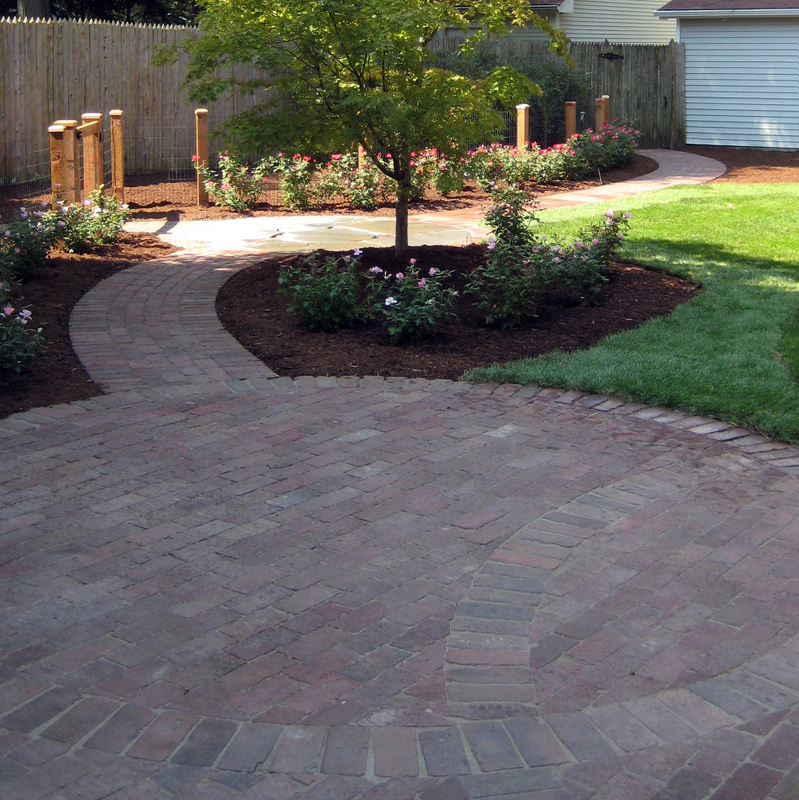 We also added trees, shrubs, perennials, a pergola for the grape vines and roses, drip irrigation and low-voltage lighting.